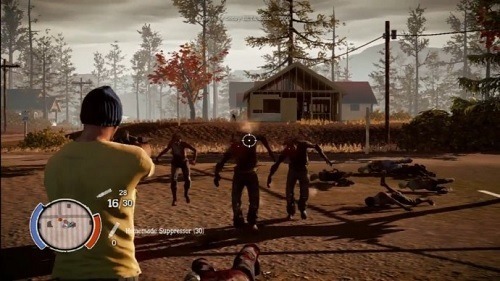 State of Decay combines the open world genre with a zombie outbreak to create one of the largest and most impressive games in the genre to date. The game started out as a title on the Xbox Marketplace and eventually made its way to Windows. The game plays out in an open world environment with players taking control of their survivors in a third person perspective. 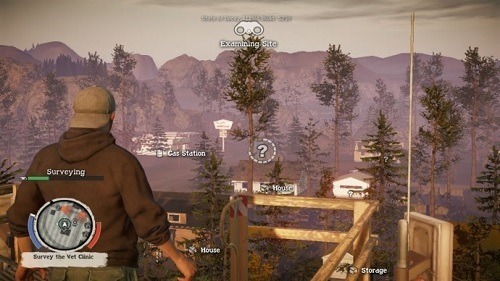 State of Decay is packed full of unique elements with a crazy amount of depth for players to explore. While the game has zombies within the world the game goes well beyond simply killing zombies with a focus on creating a thriving community and being careful with the resources that you do manage to scavenge. After a very in-depth and lengthy tutorial that introduces you to many of the games mechanics players can adventure out into the world and claim their own location for themselves. Players don’t simply pick a location though as they also have control over structures that make up their base as well from guard towers to gardens, barricades and sleeping areas. A base in the zombie apocalypse can’t function without supplies either which is where you’ll have to venture into the abandoned towns and homes to find weapons, food, medicine and various construction materials. This is where the player will encounter the infected from slow moving zombies to more powerful infected with their own abilities. Don’t be fooled into thinking you can take on more than a few zombies at a time though, this isn’t Dead Rising. By creating a great base and stocking it up with resources players can convince other survivors to join their cause and in turn take control of them. Each of these characters come with their own specialities which helps to give them a different purpose and playstyle. State of Decay attempts plenty of things that have never been combined before and despite some frame rate issues pulls it off brilliantly. A large open world to explore inhabited by survivors and zombies. Create your own base of survivors and build up a strong foothold. Venture out into the world for supplies. Swap between characters as you please. Huge amount of gameplay depth.